Keeping your dog in peak physical and mental condition can be a time-consuming thing, especially with more energetic breeds that require hours of exercise every day. 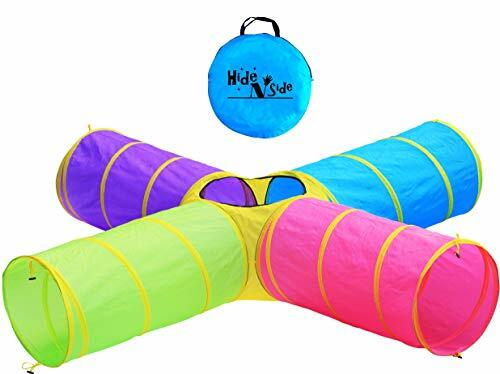 This is where specific dog toys and other pet supplies like dog tunnels are very helpful in exercising and engaging dogs frequently enough throughout the day, both indoors and outdoors. While some complete dog agility kits can be very expensive (some reaching up to $10,000 per kit), fortunately, dog tunnels alone are not nearly that expensive. So if you manage to get one that’s of a high enough quality and a good fit for your pup, you can easily provide the dog with a ton of extra fun and exercise, and sometimes even without your presence. 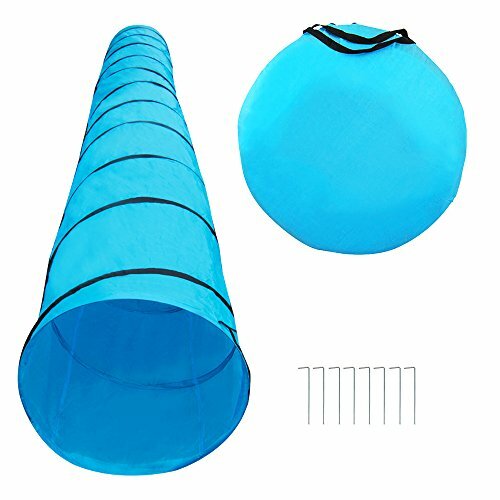 A dog agility tunnel is very similar to a kid play tunnel, so much so that a lot of tunnels are marketed to both kids and dogs simultaneously. These tunnels are usually made out of polyester or other similar materials, and they're held on a series of metal hoops forming an elongated cylindrical shape. Kid tunnels are usually shorter and narrower than a dog tunnel, which makes them suitable for smaller and mid-sized dog breeds. There are also larger and longer dog tunnels designed for bigger breeds, as well as more complex designs for competitive dog courses and proper agility training. One major difference that should exist between a child play tunnel and a dog tunnel (and it's rarely addressed in the marketing of these products) is the durability of the tunnel. Of course, kids play tunnels should be durable as well, but as dogs tend to have long sharp claws and are often quicker and wilder than the average toddler, they are capable of wearing a tunnel down much faster. This is why kids tunnels won't cut it for medium or large breeds. Dog tunnels come in various shapes and sizes. If you're training for agility competitions, note that regular competitive dog agility tunnels should be straight and correspond to the equipment specifications, as it's indicated by the North American Dog Agility Council (NADAC). Dog play tunnels that aren’t meant for competitive training, however, and used for fun, play and general exercise can be whatever you want them to be. They can have 3, 4 or even more tunnel wings/exits, they can have hanging toys inside of them (although these are more common in cat tunnels), they can have windows on the side, as well as decorative ornaments on the top, and much more. Why and When You Might Need Dog Tunnels? Lots have been said in recent years about the cost of owning a dog and how the pet industry in the Western World is actually one of the most expensive industries as a whole. 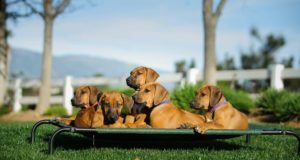 The reasons that are most often cited are veterinary and insurance expenses, but another chief culprit are seemingly “luxury” items such as dog agility equipment kits that a lot of dog owners love to get for their pups. But are dog tunnels among those items and are they actually just a “luxury” expense? In some instances, they probably are. But a case could be made that as a pet dog became less of a co-worker to us and more of a family member, it’s normal for people to give them the care and attention they need in order to lead healthy and happy lives (instead of just “productive” lives). And since both exercise and mental stimulation are essential for the health and happiness of a dog, accessories such as dog tunnels can move from the “luxury” category to the “necessities” category, depending on your point of view. Physical exercise. 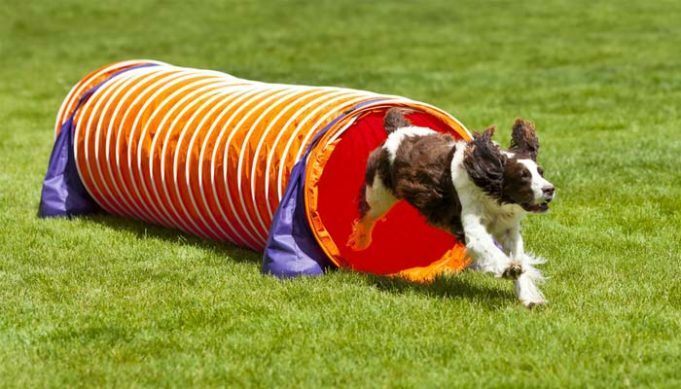 Whether indoor or outdoor, it's a great form of exercise, especially for some breeds that need several hours a day of playtime, a good dog tunnel can offer a lot of that exercise with you having to be constantly engaged in the activity. Whether indoors, in the yard, in the park, or while you’re camping, a dog tunnel can help your dog maintain a healthy physique. Mental exercise. Dogs are highly intelligent animals which makes them susceptible to boredom, anxiety and even depression if they are not well-stimulated on a daily basis. A dog tunnel can give your dog plenty of mental activity, especially if there is another pet or kid to play with in the tunnel. Interaction. They keep your dog engaged while you’re away. One big problem dog owners that work away from home face is the challenge of keeping their dogs from getting bored and from developing destructive behavior as a result of said boredom. Interactive toys such as indoor dog tunnels are a great way to keep your dog sufficiently engaged at all times so that your daily absence doesn’t affect it too negatively. Competitive training. A dog tunnel is an essential part of obstacle courses in dog agility competitions. If you want to train your Fido for the next canine competitive event in your area, getting a good dog tunnel that corresponds to regulations is a good idea. Just as human fitness equipment can be viewed as either “luxury” or “necessary” depending on your point of view, so can dog tools and toys such as dog tunnels be viewed as “necessities” if you want your dog to be as healthy and as happy as possible. How to Use a Dog Agility Tunnel Effectively? As with any other piece of equipment, you’ll probably want to prolong the life of a dog tunnel for as long as possible. This means not leaving it outdoors during potentially damaging weather conditions, cleaning it and maintaining the metal frame as well as possible, patching small holes as soon as they appear to keep them from becoming larger, and so on. Generally speaking, it’s a good idea to only deploy the tunnel when the dog is about to use it and to retract it back into its case in the meantime. As most dog tunnels are very easy to set up that’s rarely too much of a hassle. Another good tip is to clip your dog’s nails if they are too long or sharp. Dogs’ claws may not be as sharp as cats’ but they are still going to wear down the cloth of your tunnel eventually. If your dog develops the habit of chewing on the edges of the tunnel or jumping on top of it, you might want to train such behavior away as soon as possible. If you are going to use a dog tunnel for competitive agility dog training then the tunnel itself will need to correspond to the NADAC guidelines. You’ll also probably want to use it together with other training obstacle courses for maximum effectiveness. How to Choose a Good Dog Tunnel? Generally speaking, a dog agility tunnel should be at least 2-4 inches higher than the back height of your dog so that he/she can run freely through it. Kid play tunnels aren’t usually as durable as dedicated dog tunnels since toddlers don’t have dog claws and aren’t as wild as canines. If you have a bigger or a more physically active dog, it’s a good idea to pay a little extra for a sturdier and more durable tunnel. Competitive dog tunnels have straight-forward designs but if you want something fancier you might want to consider dog play tunnels with extra exits, with hanging toys, and so on. Dog tunnels aren’t that expensive overall but it’s still smart to pay attention to their price. Weight and portability. Dog tunnels should rarely be used as stationary devices. Instead, a good dog tunnel is lightweight, easy to assemble and disassemble, and has a case to help carry it around. This will allow you to set up and move the tunnel wherever you want – in the living room, in the yard, in the park, etc. For a dog tunnel to be deemed “the best” it needs to be specified what it should be best for. If you want an agility dog tunnel that corresponds to the AKC and NADAC regulations for competitive dog courses, that will be different from a regular play dog tunnel for pups and kids to have fun in. Below are five of the best dog tunnel brands from each type, so you can find something for your needs, whatever they might be. 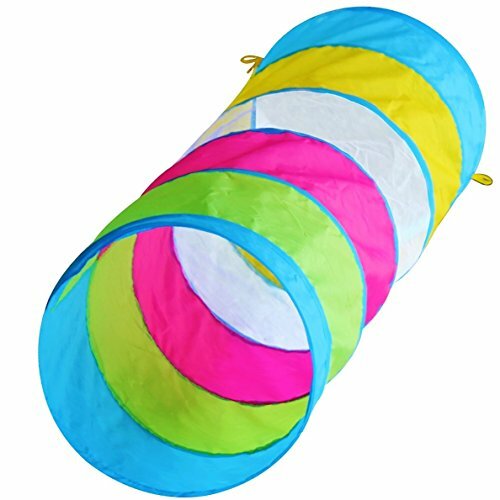 This Hide N Side play tunnel is marketed toward kids as well as dogs and is a good choice for both. Its 4 wings offer exciting options for your dog as it’s much more interesting than a regular straight tunnel. The body of the tunnel is made out of 190T soft polyester fabric and is reinforced with thick steel wiring. It is also lightweight and easy to assemble which allows you to carry it around without much effort. Hide N Side also offer 100% money back guarantee if the tunnel isn’t to your satisfaction. This tunnel has 4 wings to run through. The steel wiring gives it good durability. The polyester fabric is of decent quality but can get worn down around the wires after a while. This long and straight dog tunnel from Houseables is 18’ long and has 24” wide double-ended openings. 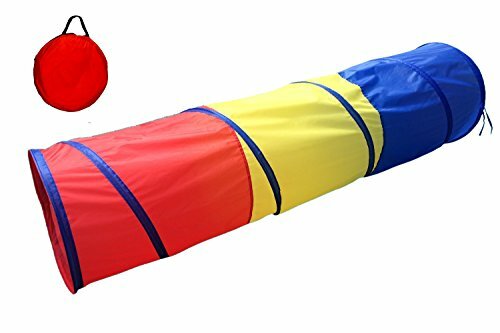 It is compliant with AKC and NADAC regulations and resembles agility dog tunnels found in obstacle courses. It’s suitable for mid-sized dogs of up to 80-90 pounds of weight. Made out of relatively durable 600D woven Oxford Dacron and accompanied by a set of 8-10 anti-rust zinc plated 7” stakes, it offers good durability. It’s also lightweight and easily portable. This Houseables dog tunnel has the ideal dimensions of agility dog tunnels approved by the AKC and NADAC. Made out of 600D woven Oxford Dacron and stabilized by anti-rust zinc stakes, it offers sturdy and long-lasting usage. The steel frame isn’t as stable as it could be and sometimes comes through the ends of the tunnel. Very similar to the Houseables dog tunnel, this HDP tunnel checks most of the same boxes. It’s also 18’ long and 24” wide as per AKC and NADAC regulations, making it good if you want to train your dog for standard agility courses. It also comes with 7” stakes to keep it steady and a case to easily store and transport it in. The metal wire hoops seem to be better designed for this tunnel and don’t penetrate the fabric so often. On the other hand, the fabric which is woven Oxford Dacron as well, tends to receive a lot of negative reactions for being easy to tear through. This HDP dog tunnel has the ideal dimensions of agility dog tunnels approved by the AKC and NADAC. It’s also reinforced by sturdy and well-designed metal wire hoops and kept in place by anti-rust zinc stakes. The woven Oxford Dacron fabric doesn’t seem to be as durable as expected. For a smaller option, this POCO DIVO tunnel is great for smaller dogs. It has a length of 6 feet and a width of 19”. It comes with a case for storage and transportation, and is both lightweight and easy to assemble. Even though it’s marketed mostly toward kids it also makes for a great dog tunnel for smaller breeds. The shorter length of the tunnel is actually a benefit for small dogs as it won’t freak them out and it also allows the tunnel to more easily be assembled in an indoor settings. The 6’ length and 19” width make this a great option for smaller breeds, both for indoor and outdoor activities. Neither the fabric nor the metal frame are very durable so you shouldn’t leave the tunnel outside 24/7 nor let bigger dogs in it. Another option from Hide N Side, this straight tunnel is made to appeal to both kids and dogs. 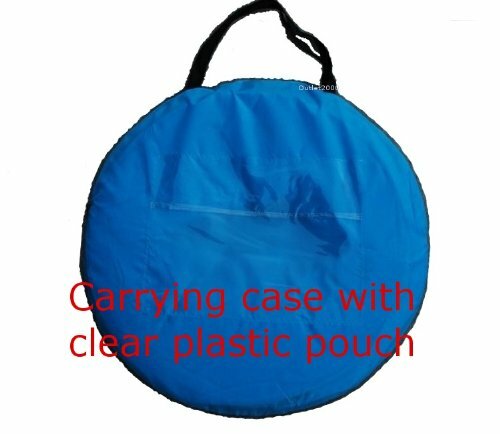 Made out of 190T soft polyester fabric and reinforced with thick steel wiring it is durable enough under ideal conditions but can get worn down after a while, especially if used outdoors. The tunnel passes all CPSC toy safety standards and is both lightweight and easy to assemble, as well as to store in its own case. The smaller and compact dimensions make it easy to set up both indoors and outdoors for small dog breeds. The 190T polyester fabric and steel wiring and pleasant to play in but not as durable as other materials. All in all, dog tunnels are a great way to mentally and physically exercise your dog outdoors, to keep them engaged and happy indoors when you’re away, as well as to prepare them for agility competitions if you’re interested in doing so. As a dog tunnel is meant to be used often (daily, or every other day) and extensively, they don’t have that long of a life span. Still, if you choose the appropriate type of your breed (e.g. heavier duty for large dogs), use and maintain a dog tunnel properly, and if it’s made out of high-quality, durable materials, it might last you a fair bit longer and give your dog a ton of fun in the meantime. 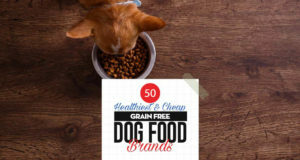 Previous articleKeto Diet for Dogs: Good or Bad? Next articleTOP #84: Is Owning a Dog Right for You?